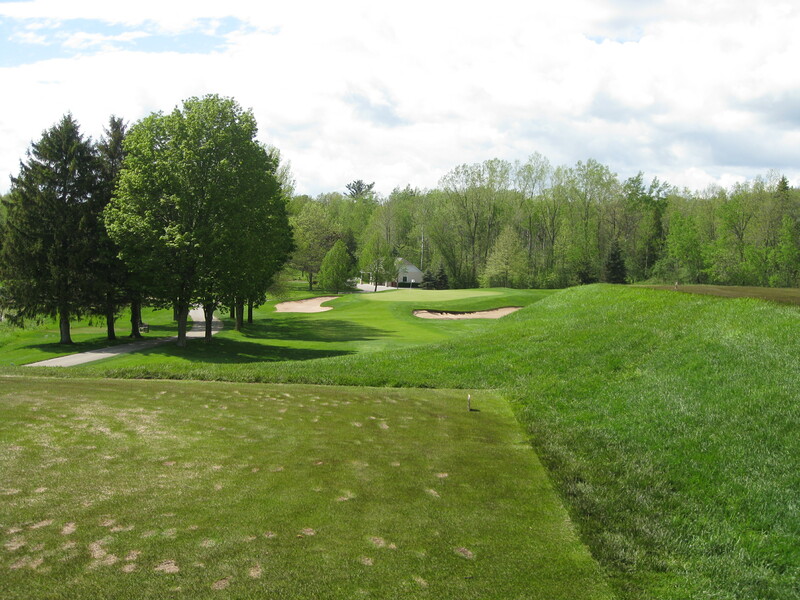 Course stats: Back tees – 6,662 yards, par 72. Overview: I considered calling this post: Green Bay Hackers. After all, when I made the drive over from MSP to Green Bay last week, I had to turn on Packerland Drive to get to the golf course. I truly didn’t know a ton about Oneida prior to my trip. I knew it was the old money, paper mill baron club in Green Bay. 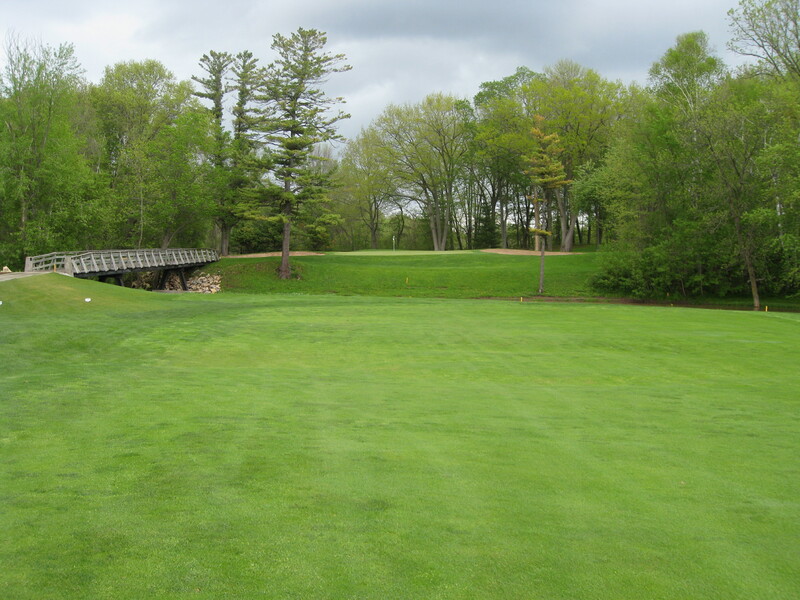 I knew it featured a classic golf course and that a certain quarterback named Favre had been a member there back when he played for the Packers. What I learned was that the course was built in 1928 and designed by a dude named Stanley Pelchar. 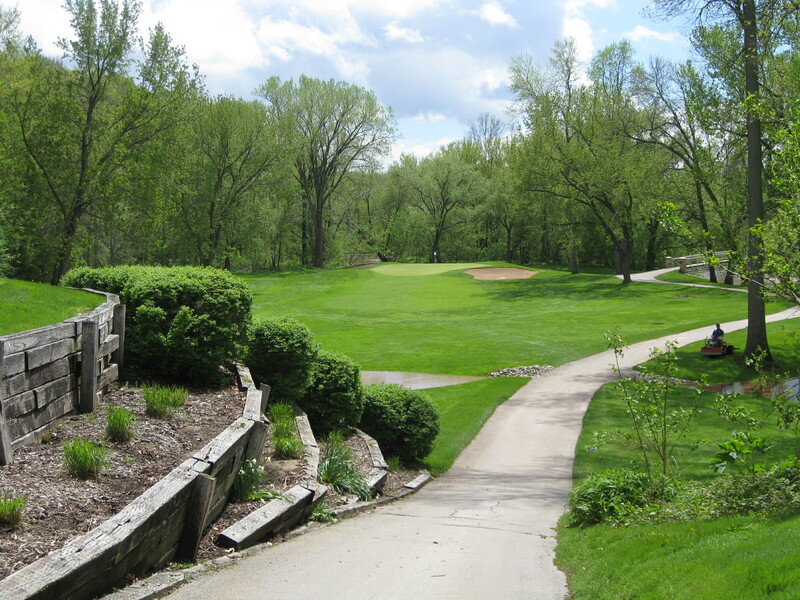 According to this page, Pelchar designed a few courses in the Midwest including Nemadji in Superior, Wis., and the Country Club of Beloit (Wis.). Even a search on Golf Club Atlas doesn’t really give a lot of information. While the club dates back to the early 20th century, it is very clear that there was some work done in recent years on the back nine. It appears a new par 3 was built and another hole extended. While No. 13 fits in pretty well with the rest of the course, it’s clear from the bunkering on No. 14, that something changed. Playing on a quiet Monday afternoon, my buddy Rob and I played 27 holes here in about four hours. We played the back nine twice and had a very nice day. Thoughts: The golf course is pretty good and very solid. Golf Digest ranks it as the No. 5 course in Wisconsin. I certainly haven’t played enough in Wisconsin to know for sure, but that seems a bit lofty of a perch. 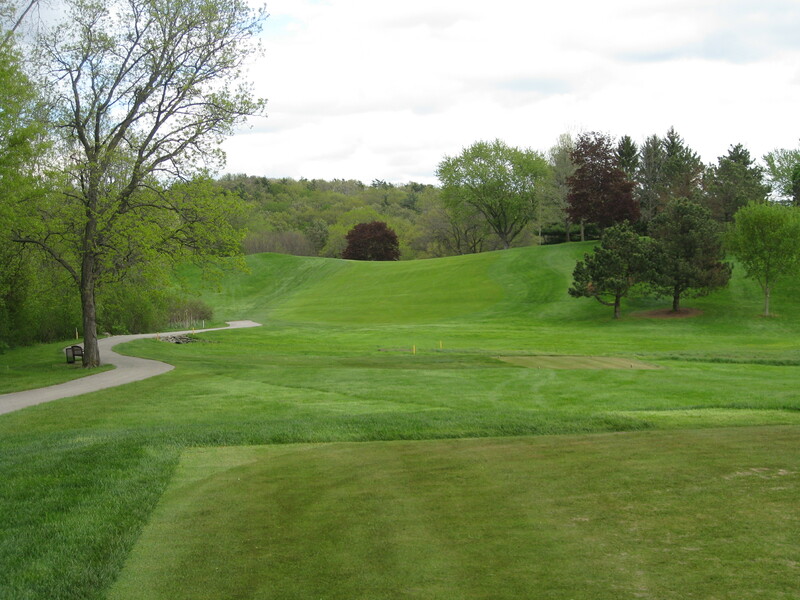 The golf course has a number of really good holes, but I don’t think it is better than Lawsonia Links and there are plenty of people who tell me that it isn’t better than Blue Mound (which I haven’t played and got rained out from playing). The course starts a little bit slowly as holes 2, 4 and 5 are pretty average. But the rest of the way includes a number of really good and interesting holes. 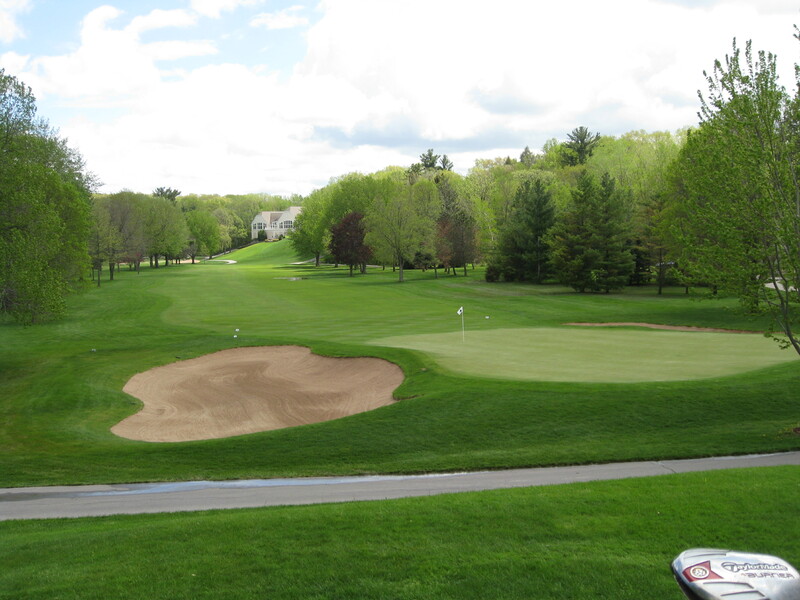 But overall, the golf course is good with some interesting green complexes and some spots where you certainly don’t want to be above the pin. Here is the approach to No. 6 (393, par 4). I don’t love the field goal trees that you have to hit it through, but this is an interesting hole. You have to hit it straight off of the tee and then really figure out and trust your yardage to the green. Hitting it beyond the pin leaves a tricky and slick putt. Here is the approach to No. 7 (346, par 4). 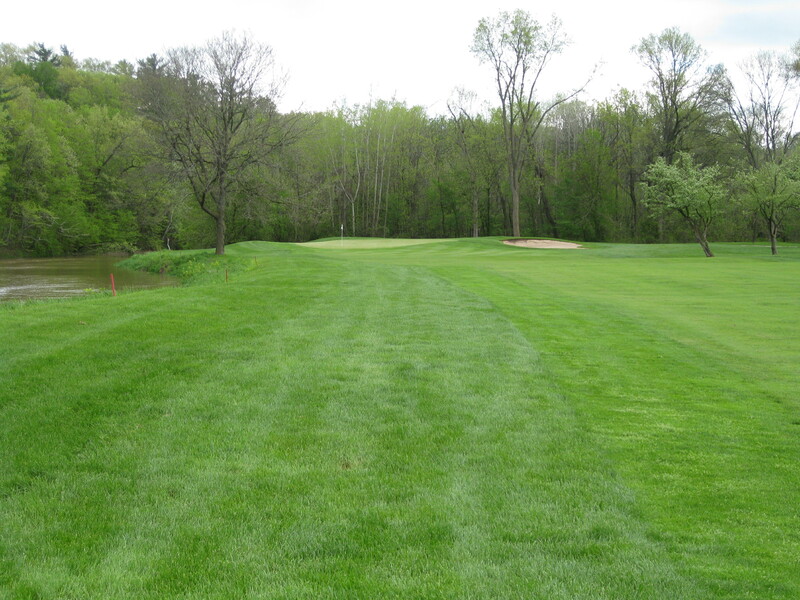 This is one of two shortish par 4s that dogleg left and have blind tee shots — along with No. 15. The golf course was soft the day we played because of a bunch of rain the night before and I just hit a 3-wood over the inside corner of the dogleg and didn’t have much left. My guy Rob says this hole is very frustrating when dry as it seems as if it is impossible to keep the ball in the fairway. Looking at this green complex, it’s pretty clear that you need to have at least a decent lie to make sure you can keep it on the green. Here’s No. 9 (524, par 5) from the tee. The water runs along the length of the hole. 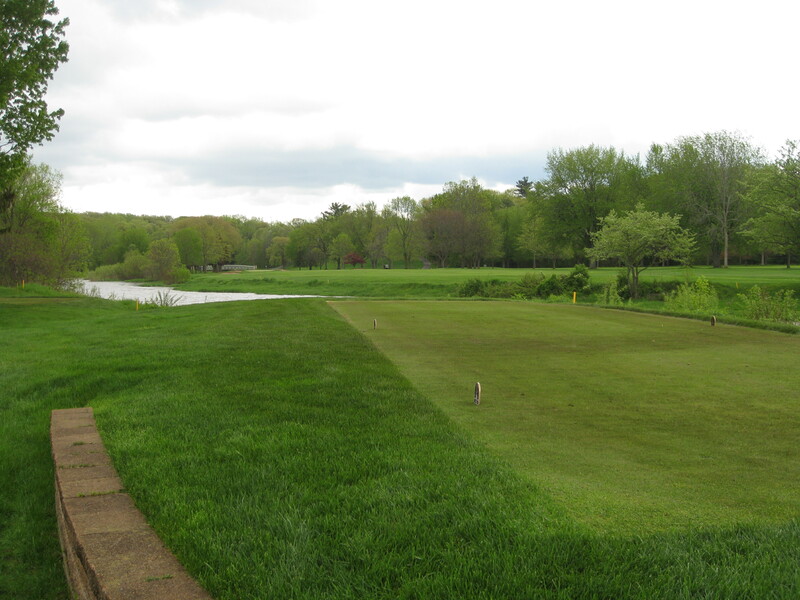 Obviously a tee shot closer to the water makes a little easier second shot as you can hit it away from the creek. 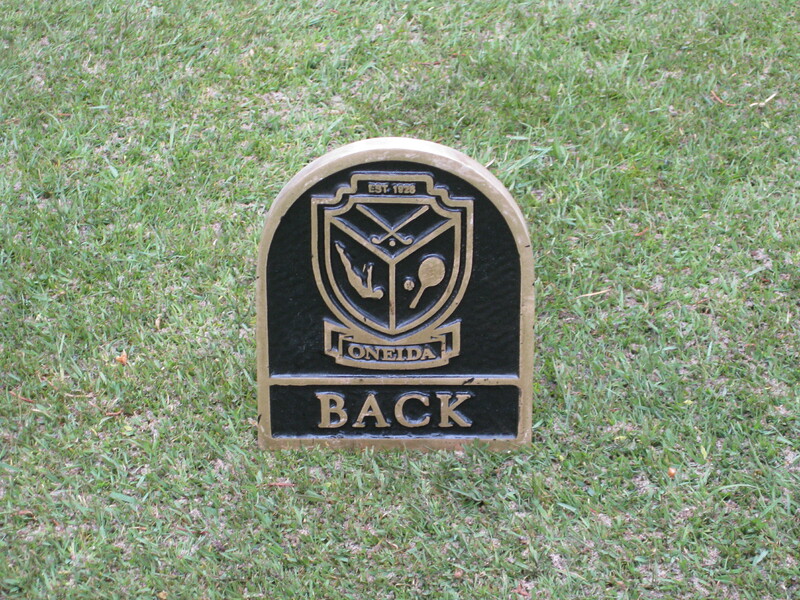 One strength of Oneida is its collection of par 3s. There are five of them and they vary in distance (189, 164, 147, 167 and 215). Here is No. 11. I don’t have pictures of either of the first two back nine par 5s, but neither really fit in with the rest of the course. No. 12 (486) is the tightest hole on the course. 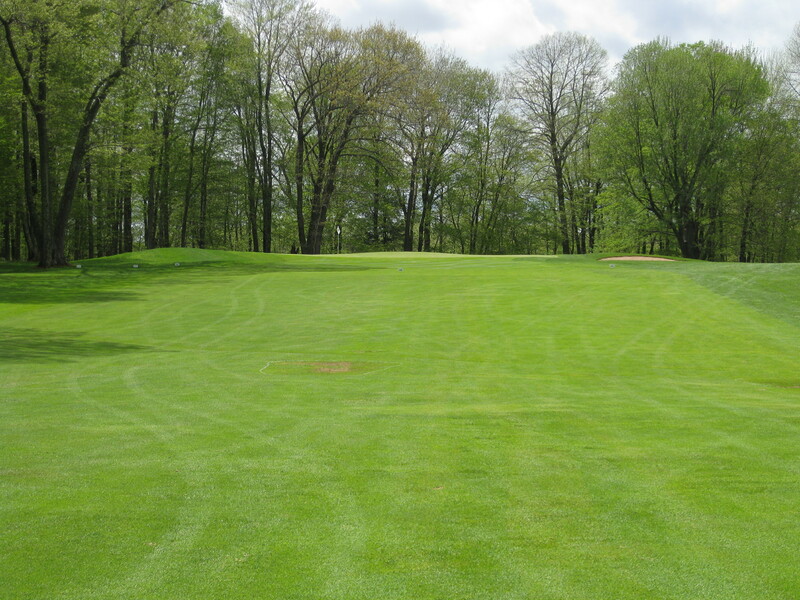 While a parkland course, there is a decent amount of room off of the tee in most spots. No. 12 is the exception. 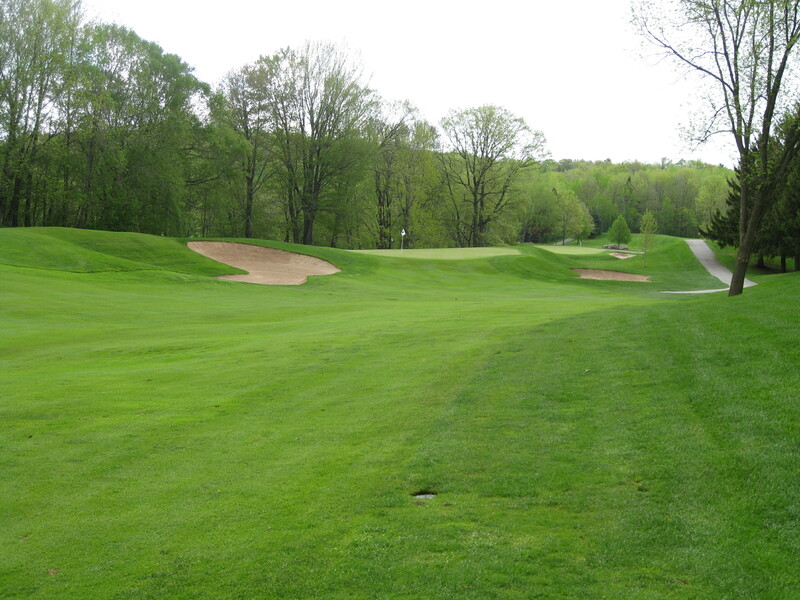 It’s very narrow and trees serve as the biggest defense for the hole. I didn’t love it. No. 14 is a hole that has seen some serious work. The bunkering is much more modern. That, however, isn’t the biggest issue. What I didn’t like during either play was the very awkward second shot. There simply isn’t much room to hit a layup shot. Maybe I was totally confused, but it didn’t seem to fit. Here is the tee shot on 15 that I discussed earlier. The best play seemed to be over the hump just to the left of the fairway. Even a little further left with a decent driver was just fine. No. 16 is a cool cape-style hole (379, par 4) that bends to the left. Here’s a look at what you have left after an OK tee shot. Would I play here again: While the golf course isn’t perfect, I would absolutely play here again. It is a place where you could be very happy being a member and playing on a regular basis. If Oneida was in the Twin Cities, it certainly wouldn’t be among the elite clubs, but it would certainly be somewhere in the middle of the back. It is pretty darn good. We had a wonderful day. If you’re in Green Bay and know a member, it is certainly worth trying to get on. I think it looks pretty solid! Kind of like a mini-Milwaukee CC in a few of your pictures. I think a few of those holes need some chainsaw/tree clearing work, in my opinion. It is pretty good. Not as good as, say, Oak Ridge or Golden Valley here. But it is a fun course. And, to be honest, there are plenty of courses that you and I think could use some tree removal.